Does your fitness or exercise plan have two speeds, turbo and idle? If so, you might be stuck in an “all or nothing” style of thinking. This way of thinking means you have to go “all in” if you want to achieve great results. You have to do everything correctly, or you might as well not even try. You either strictly stick to that eating plan and make sure every meal is perfect, or you screwed up because you ate that damn cupcake and go back to previous habits. All, or nothing. Maybe you can attest to the failure of the “all or nothing” approach from past experience. While it is great to be capable of pouring yourself into change, extreme change can undermine the potential for long-term success. When was the last time you tried a new exercise or eating plan? Did you start them thinking, “I’m going to succeed this time and follow this thing perfectly”? And…for a few days, or maybe even a week, you followed the rules without deviation. But then, a special occasion came up or it was someone’s birthday, or a holiday, or there was a “shout” at your work. And you ate or drank something you “weren’t supposed to” because it was off-limits from your eating plan. “I screwed up,” was likely the thought you had because you broke the rules and this one slip up then turned into an entire day of “bad eating” because you rationalised that you already screwed up and ruined the day, so what the heck? You’ll start over again tomorrow! And the vicious cycle continues. You start back with determination but, inevitably, something again will derail your efforts. It’s either all, or nothing. Follow the “rules” perfectly, or abandon the idea. The all or nothing approach with nutrition or exercise causes people to fail way too often, or rather: the all or nothing approach fails them. You only have to look to the New Year’s resolution crowd to discover the truth of the failure from an all or nothing mind-set. January 1st is the date most people radically change their eating and workout habits. They say they are going to workout 6 days a week and completely change how they eat. From out of shape couch potato to “I’m going to look like her!” (or him) in the shortest time possible is the goal, and the all or nothing approach is the golden ticket. We all know what happens: Toward the end of January and into February, the “all or nothing” crowd has progressively decreased. Sure they were 100 percent “all in” at the beginning but because they likely “screwed up” a few times, they were back to nothing. For most people the all or nothing approach doesn’t work. If you are reading this and are nodding in agreement because that reality is all too familiar, then AVOID the “all or nothing” mentality and adopt an approach that, instead will actually work so you can achieve and maintain, great results. You must have flexibility with your health and fitness regimen so when those events happen you can adapt and that is something the all or nothing approach doesn’t allow. If you want to achieve and maintain results you must be able to adapt to the situation or new circumstances. Health and fitness, after all, needs to be a lifelong journey, not a quick-fix solution and for that to happen what you do must fit into your life and not demand you revolve your life around it. Sure, it’s challenging to stick with a regular exercise program or a healthy eating plan even WITHOUT the responsibilities of everyday life – kids, spouse, home, job and so on. Having to work late one day can mean you miss a workout. 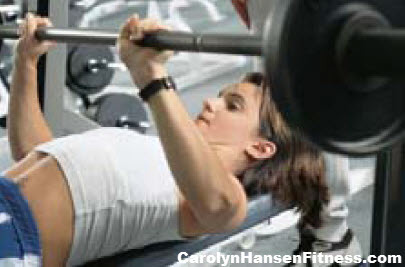 The thing is, missing a workout does not mean you have blown your whole regimen. Being affected by life’s little bumps does not mean you are weak. It means you are simply human. But if you have been pressuring yourself to be perfect, it won’t be long till you decide you are weak or that your job/family/life/whatever is conspiring to keep you out of shape. And then, you give up. It isn’t your life that’s doing the conspiring – it’s you and your thoughts. 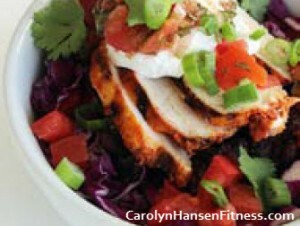 Getting to the gym once or twice a week or sticking to a healthy eating plan 50 percent of the time is not failure. You need to be flexible, especially at the beginning of a lifestyle change. Yes, it’s important to make a plan and do your best to stick with it. But if (when?) you falter, let your missteps help you create an even better plan that suits your real life, not the imaginary obstacle-free life when you first embarked on your plan. Its easy to forget lifestyle changes are not a single quick fix process. It is not a happening or an event. It is the result of 100’s of tiny steps day after day, workout after workout and healthy meal after healthy meal. It is a systematic process, one that doesn’t produce huge changes overnight and is not a quick sprint.The problem with all-or-nothing thinking is that it does not take this into consideration. The addition of minimalist exercise to anyone’s lifestyle will impact people in different ways depending on their unique and individual response. The most common response is for individuals is to see an increase in hunger because more energy is expended on a daily basis when you perform intense exercise sessions. It means to focus on satisfying your appetite and energy needs with foods that are in or very near to their natural state. If Mother Nature provided the bees and the birds with a means to know when they are hungry and the banquet of choices to choose from don’t you think she would provide us the same thing? 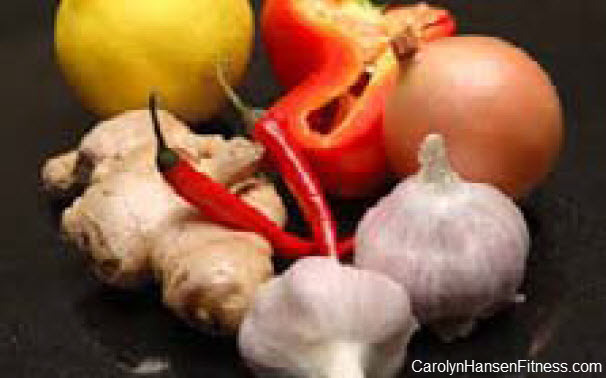 Choosing the right foods is without a doubt one of the primary secrets to maintaining a healthy diet that promotes long-term health, weight control and high energy levels. Breathing is something that most of us think little if anything about. The sad thing is most people are not breathing correctly…or to full capacity and would benefit from learning to breathe correctly. When breathing, upon inhaling, we breathe in oxygen that gets transported to our blood cells while exhaling gets rid of gases and toxins like carbon dioxide. Breathing correctly helps to optimize oxygenation to the internal organs and muscles which in turn improves overall health and fitness. 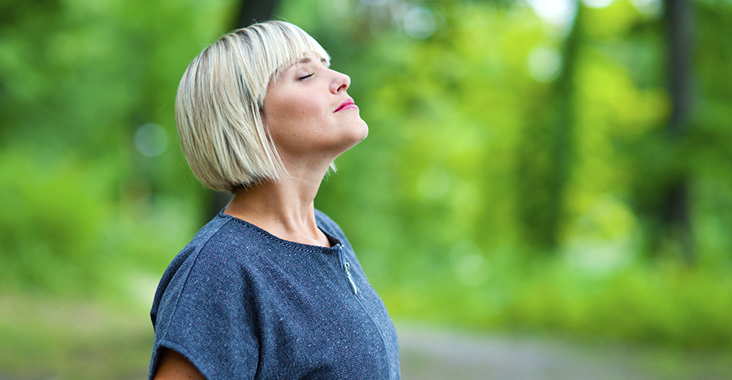 There are two ways we breathe, through the nose or through the mouth and both ways are dramatically different in terms of how deep the breath is and to the physical effects it produces. Unfortunately many people “over-breath” and put their bodies in a state of chronic hyperventilation. This type of breathing has very adverse consequences when exercising as does mouth breathing which can elevate heart rate and blood pressure and possibly lead to dizziness and fatigue. Most people breathe in through the top of the chest rather than breathing deeply through the belly using the diaphragm. This kind of breathing results in weak diaphragms and a weak diaphragm fatigues easily during exercise and cheats the muscles out of optimum blood flow. Breathing techniques is something anyone can improve on and benefit from. By simply focusing on your “basic awareness” a few times a day and putting your full attention on how you are breathing for one or two minutes at a time you’ll get acquainted with your breathing habits and that’s the first step to change. Put aside your short breaths and focus on deep breathing. Before long your consistent efforts will pay off and you will find that deep breathing comes more naturally. Proper breathing is especially beneficial when working out. It helps you exercise longer and with less effort and is something you should be focused on, thinking about and controlling during your workouts if you want peak performance. However, one size does not fit all when it comes to exercise and breathing methods. Depending on what type of exercise you are performing you will adopt your breathing somewhat. During cardio such as running, Budd Coates, M.S. (author of Running on Air: The Revolutionary Way to Run Better by Breathing Smarter) suggests that inhaling for three seconds and exhaling for two is best as opposed to breathing evenly the whole time. Stretching requires you to focus on deep breathing because you are trying to get your blood flowing loosen up and relax your muscles to get a better stretch. Resistance training, weight lifting or any exercise that require a push, lift or pull you requires you to inhale on the less demanding phase of the exercise and exhaling on the more strenuous phase of the exercise. In other words, make sure to exhale on exertion. Finding the right exercise routine to achieve your fitness goals is ultimately important but without including proper breathing…everything will be harder including getting the results you are after. Breathing, when done right, drastically improves your running/cardio, resistance training, yoga or any other physically active sport you are participating in. Most people today who exercise regularly, and who make conscious choices about the quality of the food they eat, are not getting anywhere near the degree of benefits from their actions that they could be getting. If you are one of those, I can help with my new “Minimalist Exercise and Nutrition” program. Protein is an essential macro-nutrient and the best nutrient in response to immediate hunger control. 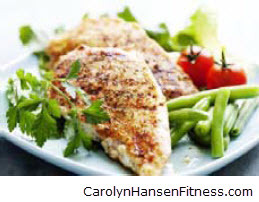 Proteins take the longest to digest and metabolize which in turn helps to keep you feeling fuller longer and less likely to reach for unhealthy snacks. 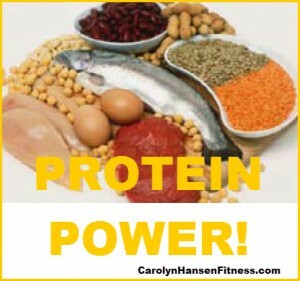 Protein helps to preserve lean muscle mass and keeps your metabolic rate healthy and strong. It works to slow the release of carbohydrates in the bloodstream preventing those dangerous spikes in blood sugar resulting in low energy and more fat cells. Whether we want to believe it or not, whether we accept it or not, doesn’t change the fact/truth that our bodies stay healthier, function better and last longer when they get proper muscle building and maintaining exercise. Minimalist training just like the name implies requires little of us when it comes to time. It does however return maximum benefit within that limited time. “Train hard, eat hard, rest hard.” Minimum training gives you optimal results in minimum time. Once you’ve shifted your lifestyle and incorporated a challenging workout routine into your daily activities, the one thing you must avoid is “burn-out” caused by over-training. Being active and on the road is commonplace for our modern lifestyles. 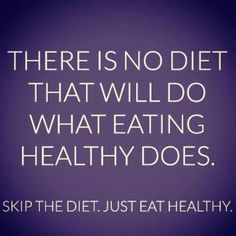 However, when trying to diet this lifestyle can be demanding and challenging at best and one of the reasons that many people don’t stick with their diets…claiming that they are too busy or on the go too much to make it work.